Eine schwierige Desafio Ruta 2014 ging am 12. April mit dem Zieleinlauf in San Juan zu Ende. Nach anfänglichen Wetterkapriolen und einem verschobenen Start konnten die Piloten auf 4 Etappen zeigen, was in Ihnen steckt. Mit von der Partie die Crew des Tamarugal Rally Teams. Wie berichtet mischte das Team mit dem SAM 30D CC auf den vorderen Rängen mit, bis eine navigatorisch schwierige Eatppe einen großen Zeitverlust einbrachte, der bis zum Ende der Rallye nicht mehr aufgeholt werden konnte. Auf der lediglich 106 km langen Schlussetappe konnten Javier Campillay und Claudio Ocampo den dritten Tagesplatz einfahren. In der Gesamtwertung blieben Sie auf dem 4. Rang und verteidigten ihre Führung in der Dieselwertung der Prototypenfahrzeuge. Fahraufnahmen der Zieletappe findet ihr im unten aufgeführten Link. A difficult Desafio Ruta 2014 was ending on April 12th in San Juan. 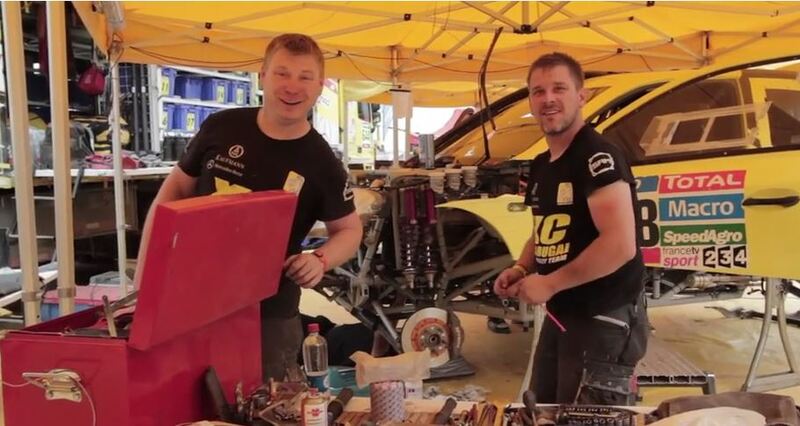 After bad weather conditions during the first days of the race, a delayed start and the cancelled first stages, the pilots could show their talents during the four remaining stages. Also participating in the race was the crew of the Tamarugal Rally Team. As we wrote in the further news, the crew riding their SAM 30D CC fightet on the very first positions until a difficult navigation results in a hard time delay, which could not be caught up by the team until the finish of the race. 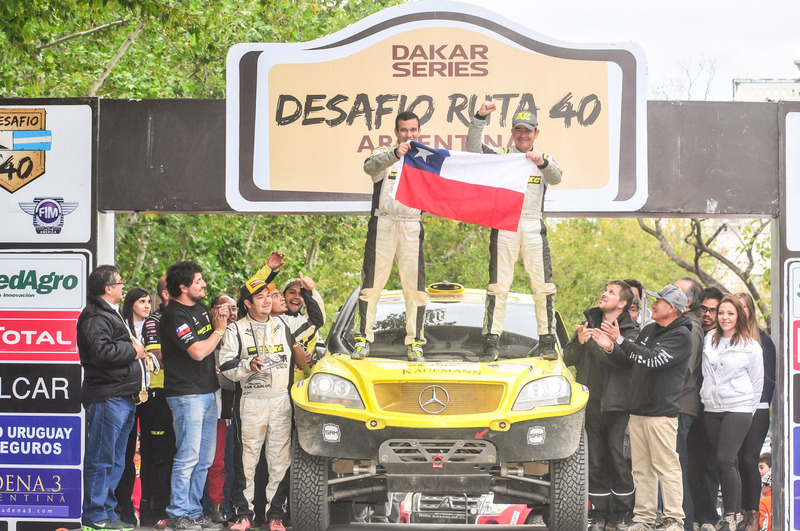 On the last stage Javier Campillay and Claudio Ocampo claimed again the third position, which counts to th fourth overall place in the end. Finally the crew claimed the overall victory in the category for Diesel powered prototype cars. A clip showing the best cars of the rally you will find in the link below. Während der gut 400 km langen 4. Etappe konnte sich das Tamarugal Rally Team Javier Campillay/ Claudio Ocampo auf dem SAM 30D CC auf den 2. Gesamtrang verbessern. Das Team konnte damit auch seinen Vorsprung in der Dieselklasse der 4×4 Prototypen auf 14 Minuten ausbauen. Der Rückstand zum Erstplatzierten Juan Manuel Silva / Ruben Garcia (Mercedes) beträgt aktuell 28 Minuten. Heute steht die 5. Prüfung von Malargüe nach San Juan an, bei der lediglich 230 km im Rennmodus zu absolvieren sind. 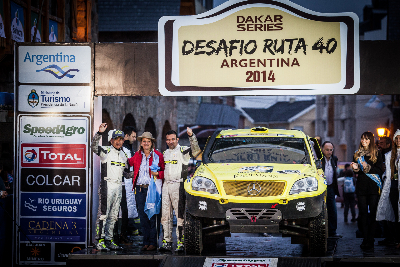 After the 400 km distance of stage 4 the Tamarugal Rally Team with Javier Campillay/ Claudio Ocampo on the wheels of the SAM 30D CC claimed the second position overall and kept the leading position in the Diesel category for prototype cars. The crew increased the gap to the second diesel powered team to 14 minutes, meanwhile the gap to the overall leader is about 28 minutes. The distance of the todays fifth stage starting in Malargüe – finishing in San Juan is only 230 kms for the teams. The Tamarugal Rally Team starts with Javier Campillay behind the wheel at the this years Desafio Ruta race in South America at 6th of March. 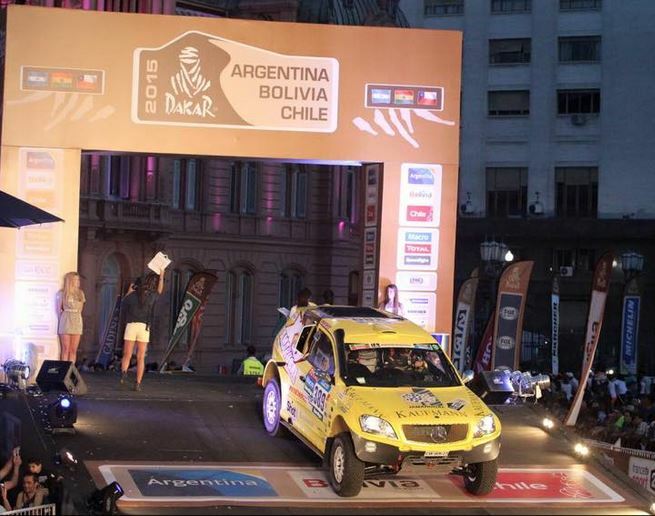 A total of 20 participants starting in the car category of the race, counting to the Dakar Series. Quit not so much competitors as like in the Abu Dhabi Desert Challenge which is counting to the FIA Cross Country Worldcup and runs actually in Abu Dhabi. The bigger part of competitors are the Moto- (45) and Quad-pilots (20), most of them based in South America. Basically the start and the two first stages were cancelled because of the hard rain and bad stage conditions. During the third day the competitors had for the first time the chance to take the race under their wheels. The Tamarugal Rally Team finished the first day on third position overall and leads the list of the T1 Diesel-powered vehicles.